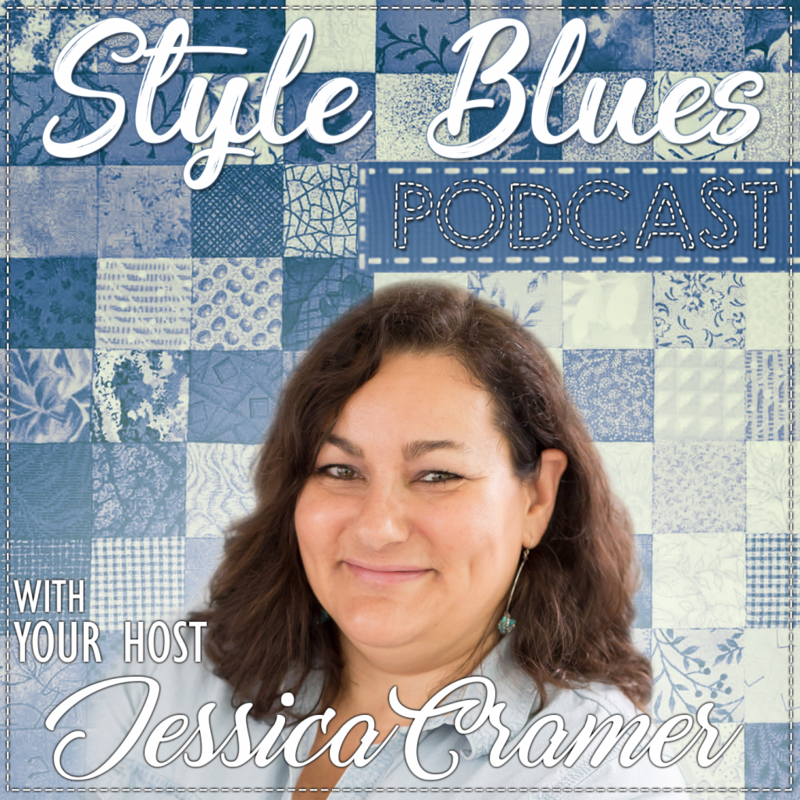 In this Episode of the Style Blues Podcast, we are talking about Sewing Pattern Hoarding. Here’s why the Big 4 don’t want you to stop your hoarding habit! How big is your sewing pattern stash? We all love a good sewing pattern sale, I love them as much as anyone else. Here’s why pattern companies don’t want you to stop hoarding their sewing patterns. Welcome back to the podcast! I have been sick for over a week, and I apologize in advance for my gravelly voice. But I am really passionate about today’s topic and I can’t wait to share my observations with you. 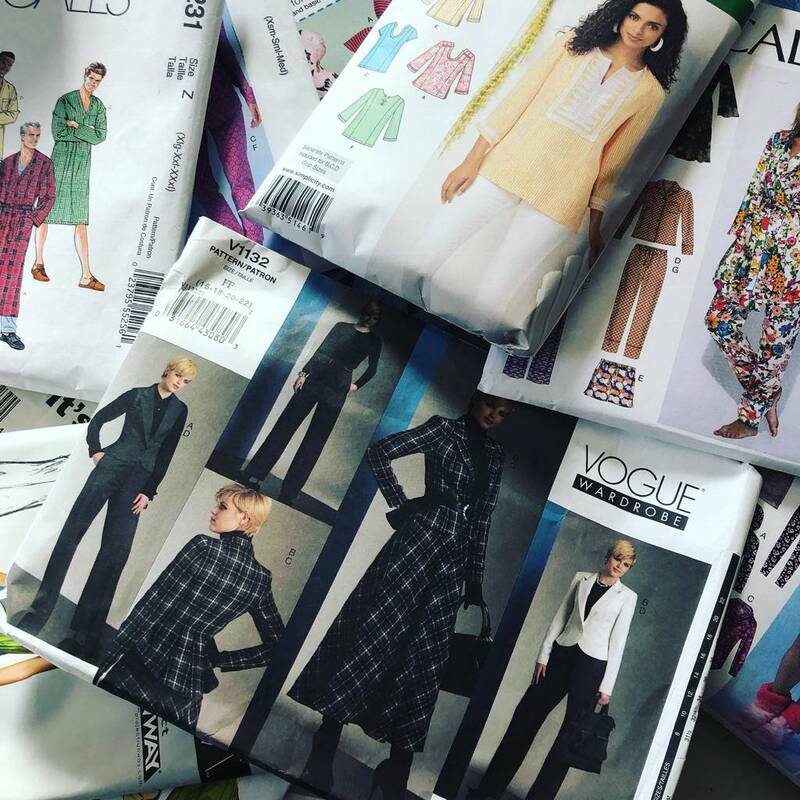 The question I want you to answer is “How many of the big 4 pattern company sewing patterns do you own?” Do you have a binder full? A Box full? A Room full? Maybe you don’t even know how many you have. Perhaps you have taken place in the pattern destashing I have been organizing my sewing room this month, and I recently went through all of my patterns. I have about 50 of them, almost all of them were purchased in the last year. I have used many of them, but there are just as many that are unused and I will probably never use. Lately, I have noticed a trend in the sewing groups on Facebook, for pattern sale announcements. One person posts that the fabric store is having a .99 cent sale, and everyone else runs out and purchases a cart load of patterns. The next week it’s the craft store that’s having the sale so everyone does the same thing again. Then we all post pictures of our “pattern haul” online. 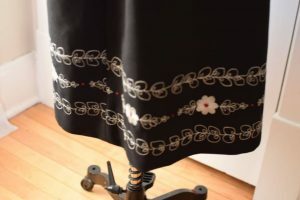 I came across a posting in Facebook marketplace recently from a lady who was selling a collection of 425 patterns spanning decades of about 30 years. It was a good deal for $75.00 and for a brief moment I actually considered purchasing it. Who in the world has room to store 425 patterns? How could you possibly keep them organized? Wouldn’t they get full of bugs and mildew?? Personally, I have purchased too many sewing patterns already and I don’t have that many. The madness has to stop. But I will not do that anymore. This is real life. I have been thinking through why in the world the pattern companies would mark down their product so drastically that we all run out and buy boat loads of patterns we may never use. In this day and age when fewer women sew than ever before, why would they do such a thing? It seems as if we are slaves to the pattern companies in a massive unhealthy manner. Why? 1. They are creating a buying FRENZY by the excitement of the seasonal pattern launch: New patterns are released several times each year. By creating these super sales, manufacturers have us running into the store to buy their new designs. It is a buying FRENZY and they love it! 2. They are still making money, even if the patterns only cost $.99. Patterns are after all, just paper. By mass printing more and more the cost of each becomes less and less. By selling them as cheap as possible, they are selling more than ever. Obviously, the pattern company is still making a small profit with this technique or they wouldn’t be doing it. 3. McCalls, Butterick, Simplicity and Vogue Need the Business: The Big 4 pattern companies as they are called, are actually two companies now. They have consolidated because the apparel sewing business isn’t a good as it used to be. I think mainly this is due to the entire sewing industry is shifting as we begin to purchase more and more pdf patterns from independent designers. For the first time they are up against real competition that they haven’t ever had before. Bloggers with YouTube channels, Indie pattern designers have left the pattern companies scrambling to change with the times. 4.They don’t want you to know that you are buying the same patterns over and over. Having worked in the apparel industry, I can tell you this secret. The patterns that you keep buying are actually the SAME PATTERN. How does this work? When I worked as an assistant designer for a lingerie company in Chicago, it was my job to make the first patterns. The designer would make a sketch of a garment, and it was my job to make the pattern for it so it could be cut out of fabric and sewn into the first sample garment for fitting. In design school they teach you to begin with a pattern sloper, that is a basic style which you then alter and create any additional styles. This is rather time consuming. But large companies don’t have to do that. They already have many years worth of patterns sitting in the back stockroom. So, all I had to do was find the style that was the closest to the one that the designer wanted and change it. I would go find pattern XYZ and copy it. Then I would change the neck or sleeve and we would have our new style, ABC. That’s how it works, you are essentially buying the same pattern with a different sleeve, neck or hem over and over again. The pattern companies don’t want you to know that it would be bad for business. 5. Pattern companies want you to rely on them. They want you to think that you need more patterns. This is not true. If you have a small amount of basic styles to work with, you can sew just about anything. Look for a basic pattern sloper that you can make to your size. Then, you can change it into whatever style you are looking for. Way back when, women knew how to do this. Women were not pattern hoarders, even though the made all of their own clothes. They learned dress making techniques from their mothers and grandmothers. They didn’t need a lot of sewing patterns because they knew how to make their own. I am not saying that if you have never sewn before in your life you won’t need a sewing pattern. This is not true. 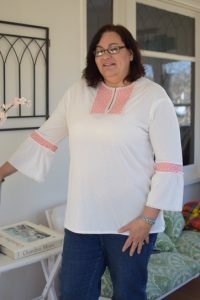 I am saying that if you already own 425 patterns in your stash you should take the time to learn how to alter the pattern to your needs and free yourself from the Pattern Hoarding mentality. These are McCalls patterns that I own, each pattern company should have a similar basic fitting pattern. Choose the company that is closest to your body measurements and stick with it. I have some upcoming workshops to help you in this process, if you are interested just send me an email at Jessica@chambrayblues.com with the words “Fitting workshop” in the subject line and I will keep you posted on the upcoming event. 6. Runway looks yield big business with designer patterns. I love watching Vogue patterns on Instagram, they take runway looks created by professional designers and make similar knock off pattern styles that we run out and buy. Last year it was Meegan Markle and the Royal Wedding, we were all chasing after styles worn by the royals to the epic events. The thing is, you can make your own patterns, using what you already own without buying all the new patterns all the time. 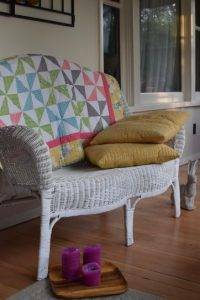 Depending on where you are with your sewing skill level, you can create these looks easier than you think. Take the time to learn some basic fitting and pattern making techniques. Read some books, watch some YouTube videos, experiment and practice. I will help you with this journey. It’s not to say that you can’t go out and buy your favorite design inspired pattern once in a while because I do this too. I am just saying that you don’t need to buy every single new pattern that comes out each season. I happen to be partial to the Vogue patterns designed by Badgley Mischka. I have a number of these patterns, there is something different about the way they look and the way they are constructed. He designs things in a way I never would have thought to things. Every time there is a new pattern release of his, I am very tempted to run out and buy it. But, I know that since I don’t hoard patterns at any other time, a little indulgence now and then is okay. 7. Pattern companies want you to think that you need to buy more patterns to become a better sewer. This is a huge misconception. They start you out with easy and basic patterns, they the add the average construction and finally the advance or expert category. The expectation is that you will buy from each category as you become a more experienced sewist. Not many of us follow all the rules all of the time. Once we have a taste for basic sewing and what we can accomplish, there should be no stopping us. Expertise comes from practice and patience, not from having dozens of patterns in your stash. You can do more than you think with less mental clutter. 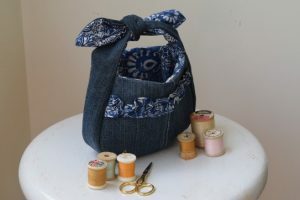 You can accomplish more sewing than you imagine but if you never try you will never really know. How many of us have bought a pattern we just love, only to open it up and read the complicated construction directions and then become completely deflated in defeat before we even begin sewing? I have done this myself. I can’t tell you how many times I have noticed mistakes and unnecessary steps in commercial sewing patterns. When I was a student at the Fashion Institute of Technology, on my first day of sewing class we were going to make a basic blouse. 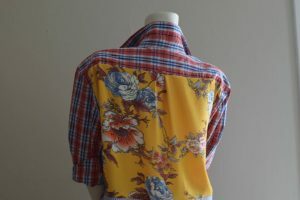 The pattern was button front with long sleeves, with a two piece collar and button cuffs. 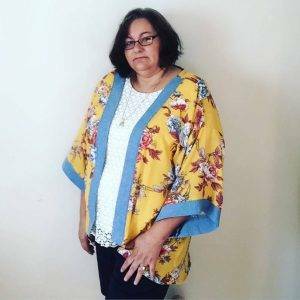 I had considerable sewing experience before I was a student, I had never sewn a complex tailored shirt before and I was a bit intimidated by the class on my first day. The first thing our professor asked us to do was to take out the pattern directions, write our name on them and hand them in. I was devastated. It felt like my security blanket was just ripped away from me. How was I supposed to learn to sew without the directions???? You know what? He was absolutely right. I learned to sew and have never forgotten. I am not confused or swayed by any pattern directions or techniques because I know how to put things together without them. It is LIBERATING. In apparel manufacturing, they don’t have sewing directions in the sweatshops. They pump out hundreds or thousands of garments a day. You can make professional looking garments without any help from the commercial pattern companies. We would love to know your feedback on this episode! It may ruffle some feathers in the sewing community. 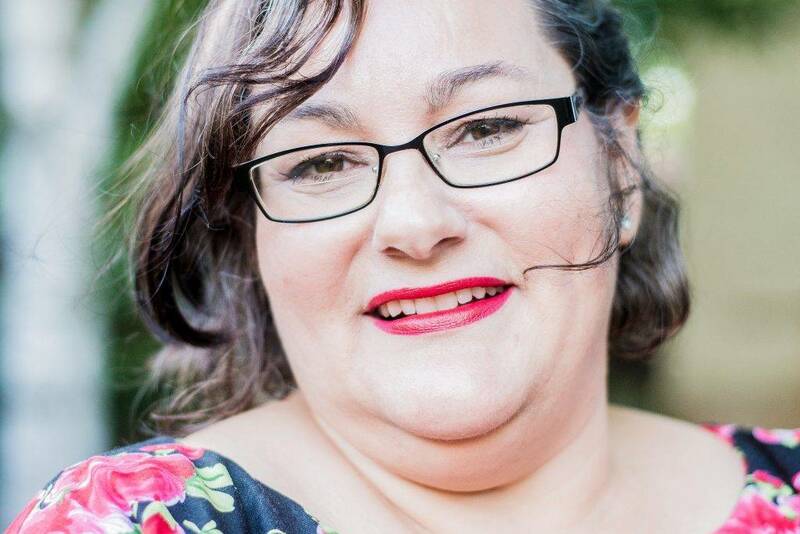 Let me know how you are doing with your pattern hoarding or If you are interested in joining my fitting workshop, send me an email to Jessica@chambrayblues.com with FITTING WORKSHOP in the subject line and I will make you get notifications for future events. As always please leave me a review on Itunes, it helps me get more guest to interview as well as sponsors so I can continue to help you fix your Style Blues!